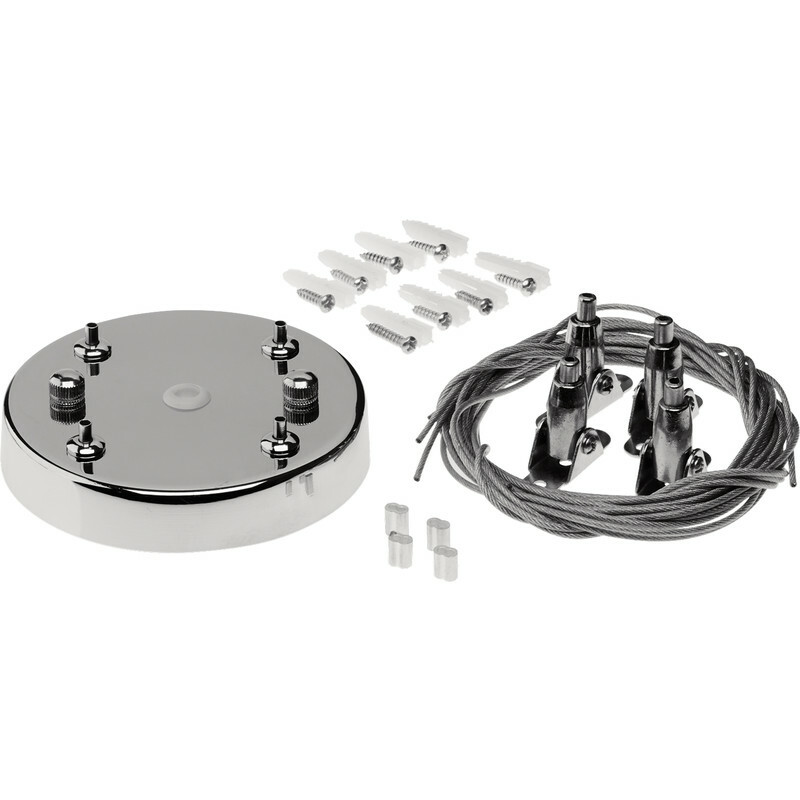 Enlite Adjustable Suspension Kit For LED Flat Panels is rated 4.5 out of 5 by 2. Rated 4 out of 5 by Mark_C from Practical way to surface mount 600 x 600 LED panel I bought this surface mount fitting along with the LED 600 x 600 36W Panel Light 36W 4000K 2800lm (https://www.toolstation.com/led-600-x-600-36w-panel-light/p69200) to replace a double 5ft fluorescent fitting in the kitchen. I wasn't sure it would have the same level of light output, but was pleasantly surprised at how bright it is given theoretically it has way lower lumen output than the twin fluorescents. The surface mount is easy to assemble and fix to the ceiling. I've only used 2 of the 6 fixing points as I was able to attach them to a joist, so a very firm fixing. Plenty of room above the panel for the LED driver. The only letdown is the screws that assemble it, whilst small, they are visible and it slightly spoils the overall aesthetic. If it hadn't been for the screws showing I would have given it 5 stars. Rated 5 out of 5 by N777 from Finishes off your Enlite panel perfectly Packs neatly into a small parcel, as all sides have to be fitted together when opened. Be careful not to lose the small screws supplied with the kit. Professional looking finish; it's best to paint blemishes in the ceiling before completing the assembly.